John Wesley’s influence in the history of Christianity is indisputable. His movement for ‘scriptural holiness,’ his foundation of Methodism as both movement and denomination, his organisational prowess, his spiritual passion for the established church, all form part of his legacy. His Journals, letters and sermons are a goldmine of information and insight. Naturally this wealth of primary resources has also generated a history of interpretation. The fire in his parents’ Rectory at Epworth (‘a brand plucked from the flames’) came to form part of the providential history of Methodism, as indeed did his ‘conversion’ experience at a meeting of the Moravians in Aldersgate Street in London in May 1738. Wesley also was a political conservative, a supporter of the monarch, willing to pray against the French and resistant to the rebellion of the north American colonies. So, a quest for Wesley’s economic and social ethic is an attractive possibility. 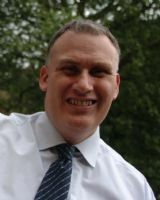 Surely if there is an ‘evangelical economics,’ we will find Wesley an able exponent? 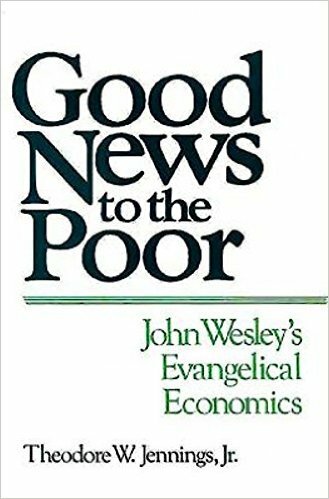 The enormous strength of this book is that it gathers into one place Wesley’s writings and teachings on economic and social matters. The weakness lies in the interpretation in which we learn more about the author than we do the subject. The book is constructed around these key themes together with chapters on ‘The Theological Basis of Wesley’s Ethic,’ ‘Why did Wesley Fail?’ and ‘The Relevance of Wesley,’ together with an appendix on ‘Wesley on Politics.’ These chapters, forming the second half of the book, are essential to Jennings interpretative exercise – because he has, by his own admission, to deal with Wesley’s well-known conservatism, his swift abandonment of the Pentecostal ideal, Wesley’s own contra-writings to the liberation theology theme and the unwillingness of Methodism to embrace the apparent ideals of their founder. Do you not know that God entrusted you with that money (all above what buys necessaries for your families) to feed the hungry, to clothe the naked, to help the stranger, the widow, the fatherless; and, indeed, as far as it will go, to relieve the wants of all mankind (p102, quoting the sermon on ‘The Danger of Increasing Riches’). Wesley’s most famous treatise on the matter was his well-known sermon on ‘The Use of Money,’ and the famous three-fold injunctions of ‘Earn all you can, save all you can, give all you can.’ Jennings does recognise the complexity of this sermon but we see also his own forced interpretation here by his description of this sermon as ‘the source of most of Wesley’s problems with the Methodists’ (p167). This is wholly inadequate by way of interpretation. Wesley refers to money as ‘an excellent gift of God’ and being of ‘unspeakable service to all civilised nations,’ whilst also arguing for ‘honest industry’ and for the avoidance of sinful trade or the undercutting of competitors. In reality there is little economics (evangelical or otherwise); the feel is very much that of a preacher. There is also the vexed question of Wesley’s advocacy of the ‘community of goods,’ upon which Jennings places great store but about which two things are clear. First, that Wesley experimented intellectually (and hoped to do so practically) with the idea in the 1740s and, secondly, that he subsequently abandoned it either because he considered it to be unrealistic or because his thought had moved on, perhaps as he preached his sermon on “The Use of Money” (which he delivered on 23 occasions according to the sermon register, starting in 1744, and which was printed in 1760). Despite his occasional radical thoughts Wesley stood in the mainstream tradition; he accepts the basic role of the market, offers strictures against excess and looks to the voluntary principle as a response to social need. However, for all that, we should not underestimate the power of his critique of wealth and money. Ultimately, Jennings forces the material to his theme. He makes far too many pejorative interjections in his interpretation for the contemporary age. That is not to say that there is nothing powerful about gathering together from their disparate sources Wesley’s economic and social thought. However, he does so partially. By separating those writings of Wesley which operate in the opposite direction we are left with two halves of a theological tradition without the necessary interpretation of the complexity. Wesley was not an economist and his writings on economics – claimed indeed by both ‘free-marketers’ and ‘socialists’ (which merely illustrates the complexity) – simply cannot be garnered into some overarching economic strategy. As a preacher he certainly knew the challenges wealth brought; about business and market itself (the use of the word capitalism would be an anachronism) he was unquestionably equivocal.